Born in Australia, Jeremy Halpin has been studying and practising Eastern medicine since his early twenties. 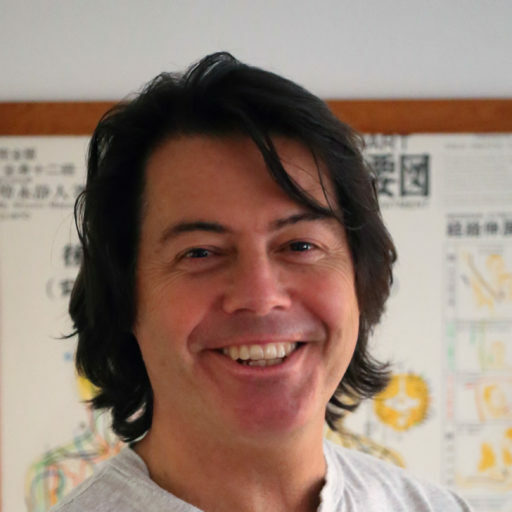 In clinic practice for 30 years as a zen-shiatsu therapist, acupuncturist, healer and teacher, he has established diploma courses in alternative medical disciplines in four countries. Jeremy is a published researcher with the Karolinska Institute in the emerging field of “Integrative Medicine” (the cooperation and synergy of Western and alternative medical models in clinical practice). His popular lecture series, “Conscious Health” (demonstrating the connection between the mind and the body in health and disease) has been run in Stockholm for more than a decade and has attracted people from all cultures that are interested in improving their health and understanding. In 2006 he created a new kind of practice called Solid Air Healing and working practically with the institution in collaboration with Graeme Docherty (also Director of Education at the Shiatsu Skolen in Copenhagen, Denmark). A compelling and charismatic public speaker, his engagements range from chairing the debate at the inaugural Quantum Energy Medical conference at the Royal College of Technology (Kungliga Tekniska högskolan) in Stockholm to inspiring the corporate world with the application of classical energy principles to organizational systems. 2017 will mark the launch of a book about Shiatsu, working with energy and its role in the greater medical debate. Titled ‘Touching the Invisible’, it is written in collaboration with colleagues Janne Nevelius and Chris McAllister – both of whom also have 30 years of clinical experience. His clinic is situated in central Stockholm, Sweden. He works in both English and Swedish.